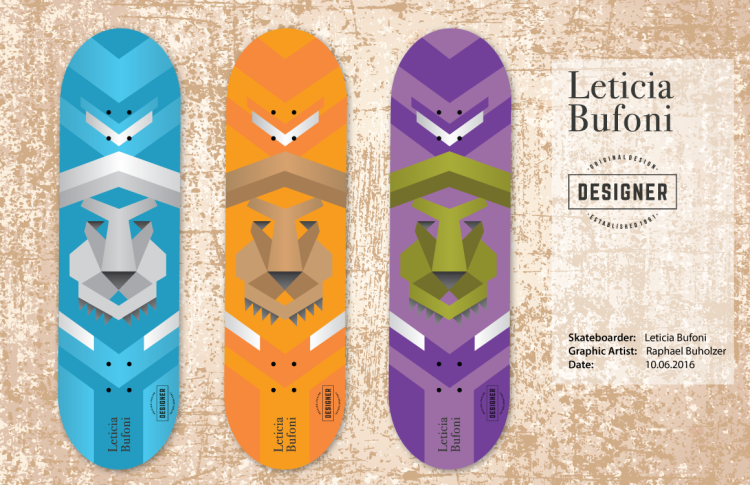 Skateboard design created for 'Leticia Bufoni' as a part of School Project in first term. All parts created in Adobe Illustrator. While introduced to the school project, my main objective was creating the overall design in Adobe Illustrator due improving my skills in creating vector graphics.